Cities and counties in Iowa often use Tax Increment Financing (TIF) as an economic development tool that reallocates property tax revenue for urban renewal. The original intent of TIF was to develop blighted areas or spur job creation. In many instances, TIF has been a valuable tool that encourages and enables growth, but criteria for TIF has been interpreted broadly over the years and therefore subject to abuse at times. One of the most urgently needed steps to protect taxpayers is a U.S. Constitutional Amendment that requires a balanced federal budget. Iowans for Tax Relief strongly supports Iowa’s proposed resolution requesting a U.S. Constitutional Amendment to require a balanced budget. We prefer that the Amendment be proposed by the Congress, but since Congress has for so long failed to propose a strong Amendment, a U.S. Constitutional Convention (convention of the states) limited to fiscal issues should be held. A resolution calling for a convention of the states was approved by an Iowa Senate State Government subcommittee on Wednesday. The Iowa House approved the measure last year and if passed by the full Senate before the end of this legislative session, Iowa will become the 13th state to make the call. Article V of the United States Constitution requires 34 states pass resolutions for a convention to occur. 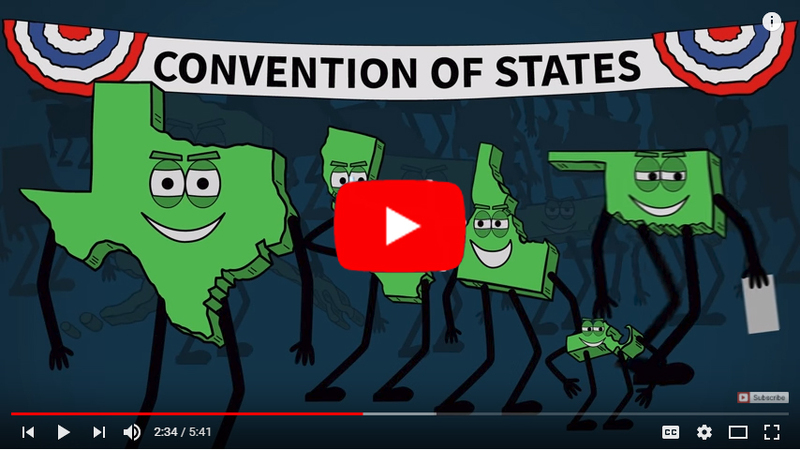 PragerU created a short video explaining a convention of the states. Click on the image below to watch.